Pep Guardiola insists he is not disappointed to see Manchester City target Frenkie de Jong move to Barcelona, but warned that the Premier League champions will find it “almost impossible” to sign the world’s best players for a price they deem reasonable. City were in the race to sign De Jong all the way up until Barca made a big-money move in the past few days, with the Catalans offering to pay Ajax more than the previously agreed £61 million (€70m/$81m) fee, and upping the Dutchman’s wages to between £260,000 and £300,000 per week. 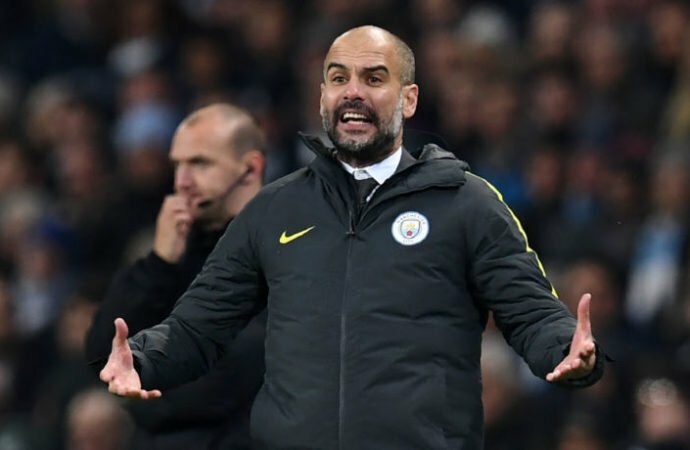 Guardiola had previously urged City to be “quicker and more efficient” in their attempts to ward off Barca and Real Madrid in the transfer market and that is a theme he returned to on Friday. City’s transfer policy dictates that they will not pay above what they consider to be a fair price for new players, a stance that has ensured their highest transfer outlay is £60m (€69m/$79m) – much lower than the likes of Paris Saint-Germain, Juventus, Real Madrid, Manchester United and Barca. But Guardiola now suggests that City could have to start looking at younger prospects rather than established stars, because the Blues are unwilling to pay the type of fees that rival clubs do. “The transfer market, the salaries, increases a lot,” the Catalan said. “After Neymar at PSG, it increased to incredible levels. Unfortunately that’s why we spend a lot to change the team (average age). We have to be quicker and smarter and try to buy the players. The post See Why Man City Boss Guardiola Is Angry With Madrid & Barcelona appeared first on Naijaloaded | Nigeria's Most Visited Music & Entertainment Website.